Let's start to play at home! Cooking will not be boring anymore. 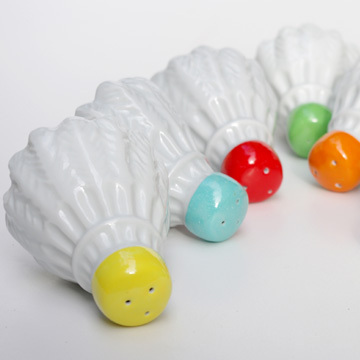 Bandminton shalt & pepper shakers are very colourful and trendy objects to your kitchen. Many different heads avaible, as you like. 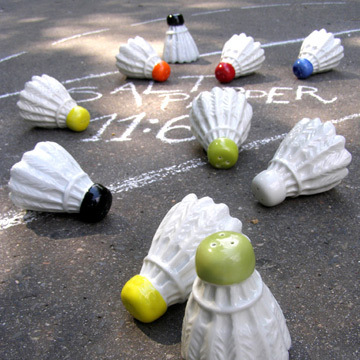 We offer black and white, or just one vivid one to make your day happier.